What is SEO… Do you need more web traffic for your blog? I know you do – everyone wants more traffic. But if you are new to this blogging thing your site probably won’t get a lot of web traffic and you will definitely not get a lot of web traffic from search engines. But, if you are ready to do a bit (well, quite a bit) of work, you can! Have you heard about SEO? If you are reading this, I bet you have. But there is still a lot of confusion about what SEO really is, and more importantly – how to do it and how to do it right. 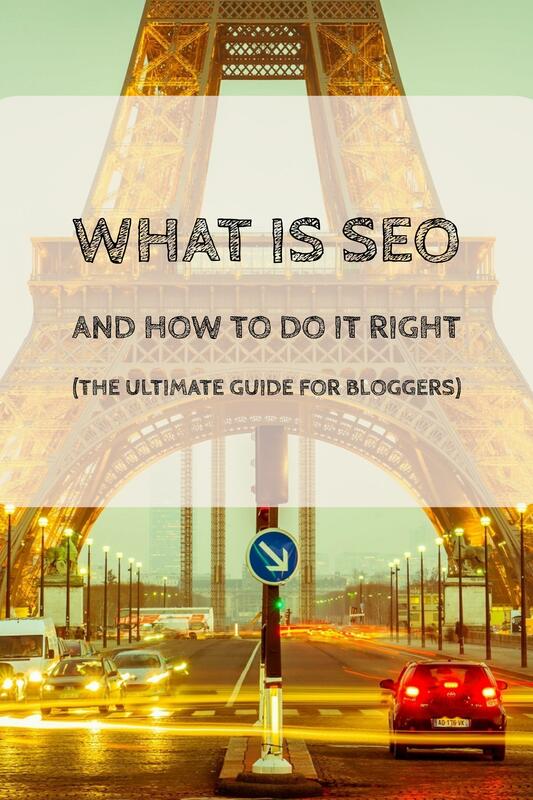 Especially for bloggers, SEO is a very important tool – but also one that needs to be treated with care. Let’s dive in and learn the basics of SEO first. SEO stands for Search Engine Optimisation – and it is the craft of optimizing web pages, content, and web links to your content, so that your content will get the best possible ranking and the most possible traffic from search engines. Or, in other words, SEO is the craft of optimizing your website so that it will receive the most traffic from search engines in general and Google in particular (as Google almost has a monopoly on that market). profile spots on the results pages with any other piece of content on the web that tries to rank for similar keywords. This information is needed to display search results when you enter a search term into Google. Keywords and – phrases are needed to know which searches to display a page for. The amount of links is needed to order the results so that hopefully the best results are listed on top of the bad results. Ordering the results is mandatory because with today’s amount of content on the web you would be bound to get very useless results on top of the good ones. With 100s of 1000s of results per search term you Google needs good algorithms to display good content on top. Search engines are one of the three key traffic sources for websites, the other two being Social Media sites like Facebook and Twitter and advertising web traffic through advertising systems like Google ads and Facebook ads. Traffic from search engines takes time – when you are doing SEO, you need to keep that in mind. Your site needs a minimum of content and it will take at least a couple of month before search engines will open their floodgates of web visitors to come to your site regularly. On the other hand, social media traffic can provide almost instant results. But while social media traffic will often hit a limit of how much traffic it can provide (depending on your content), you can almost always grow and scale your search engine traffic. Also, contrary to social media web traffic, search engines don’t send you viral traffic – the content will not go viral on a search engines and user engagement is not the main ranking factor. For most healthy websites, there should be a balance between social media activity and search engine traffic. There are exceptions: If you are running a site specialised on clickbait viral content, for instance like Buzzfeed, you would specialise on viral traffic. On the other hand, if you are specialising on niche how to articles, search engines might be your best friends. On-site optimization means you need to optimize your site so it is easy to understand for Google’s algorithmic approach to understanding and ranking websites. It also means that you need to optimize your site for mobile web visitors, provide Google with Site maps, etc. Luckily, there are plugins for all of these steps. Keyword research and content production means you need to actively research keywords and topics that do have search traffic on them, you can rank for and that you can provide content for. It also means you need to write keyword optimized content. Luckily there are tools you can use to get some help with all of these processes. Linkbuilding is the part where you go from optimizing on your own site to optimizing your site by producing links on other site that will increase your search engine rankings. There are a couple of strategies that you can use to increase links to your site that will help you do this on scale. Now, let’s go into every one of these steps in detail. Install Google Analytics – because if you are not tracking your traffic, you won’t know whether you are getting results. Google Analytics is a free and advanced tool that you can use – it can be installed easily. Here is a guide you can follow. Connect Google Analytics to search console to have them both integrated. Make your blog design mobile friendly. Implement the AMP framework (Accerlerated Mobile Pages). Optimize your URLs for Search Engines. Install Yoast SEO Plugin and follow its guides to better optimize your site. Make your page load as fast as possible. Google penalizes sites that are not mobile friendly heavily. If you are still running a WordPress theme that is not responsive, select one that is responsive and therefore optimized for mobile devices like phones. Responsive themes will still look good when displayed on mobile devices like phones or tablets. Implement the AMP framework (Accelerated Mobile Pages). The AMP framework is a set of guides to offer a stripped down version of every piece of content on your WordPress blog. Basically, every article and piece of content will get it’s own stripped down version for Google’s mobile index. When you have this implemented, you qualify for prime real estate on Google’s mobile search result pages. AMP provides a simplified version of every page on your WordPress blog. Basically the idea of AMP is to provide a stripped down version of you content that loads instantly in mobile browsers without using too much data. For an example of how this looks like, you can go here and see the mobile version of this article. Gladly, you can do this through the use of two plugins for WordPress: The AMP plugin and Yoasts additional plugin. Install both of these and follow this guide to set them up. When you first install WordPress, the URLs are not setup to use a search engine friendly format. Luckily, this can be changed quickly and easily through WordPress’ administration tool. Simply login to your WordPress installation and go to: Settings -> Permalinks. There, under “Common Settings”, select “Post name”, like in the screenshot below. 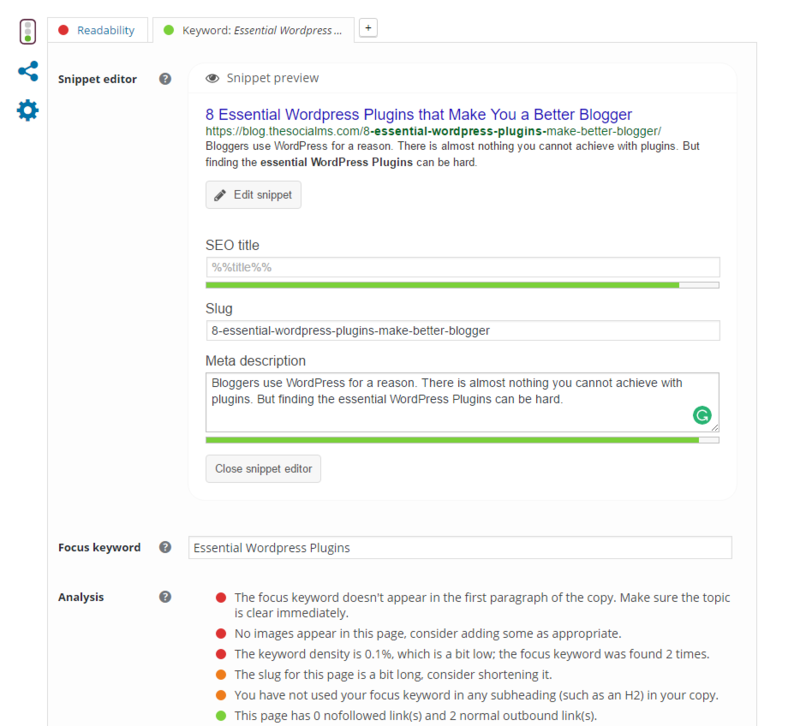 For every new piece of content, the SEO plugin by Yoast, which we will install below, will allow you to change the URL for each post individually, but this setting is to ensure that every post is optimized as well as possible by default. Install The Yoast SEO Plugin. Yoast provides a tremendous SEO plugin that will help you optimize each post you write on your blog. When you first set it up, you will be taken through a few initial steps (such as connecting your site with the Google Search Console) but gladly, it’s easy to do. Yoast will also help you with things like providing Google with a Sitemap for your site. W3 Total Cache is an on site caching engine for your WordPress installation. Download and install the plugin and use this guide to set it up. Cloudflare is a Content Delivery Network – it basically stores all your static content on servers around the world and then serves it from the server closest to the web visitor. It does provide a few extras – and the best part is: You can get started for free! Use this guide to set it up. Use a tool like GTMetrix to identify further optimization potential. 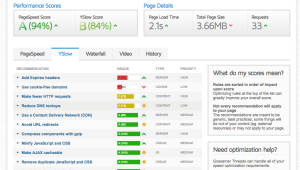 GTMetrix provides page speed analysis and recommendations. This is where SEO get’s interesting. 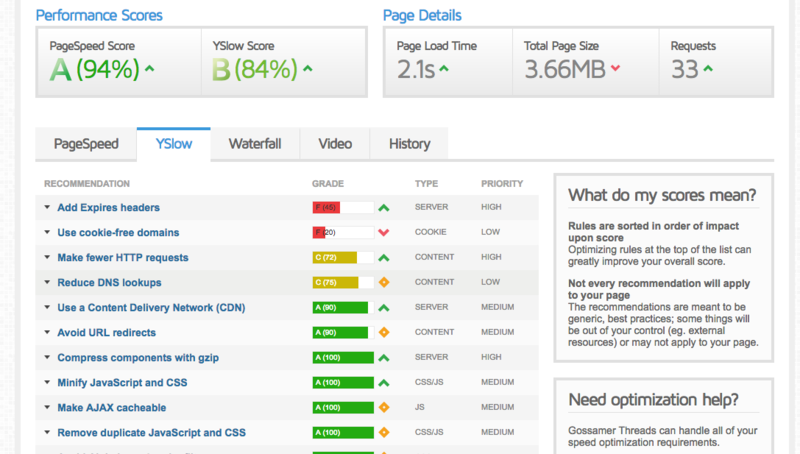 Ideally, the on-site optimization will be done once. This part is where we start to implement strategies that you will do over and over again. Let’s start by confirming this assumption. The first thing to fire up is Google’s free tool: Google Trends. Google Trends allows you to visualize trends data around certain search terms – it will display a graph, that will highlight the point of highest interest as 100% and put every other point in time into relation. This data is focused on the trend, not on the actual number of searches. I did this for “men’s hats” and as you can see, the popularity of the search term has risen over the last couple of years. Good. 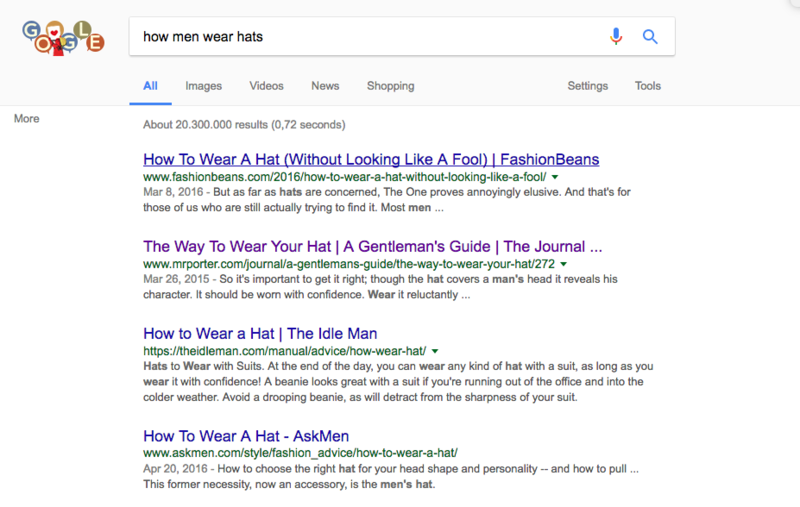 However, when I search Google for “men’s hats”, I get a lot of online clothing shops back – but no single piece of content that is related to how to best wear a hat. The search term is simply too broad – if people are searching for “men’s hats”, they are looking for places to buy. The result is: There is some content on the web around this topic. Some blogs are writing on it, but it doesn’t seem to be a very much talked about topic. However, the trends data above showed us, that the trends are rising. Let’s see if we can identify search terms that are relevant to the topic and that we can use to write an article about this. It’s time to use a tool called “Google Keyword Planner”. Google Keyword Planner is a free tool by Google again, but you do need a free Google Adwords account to use it. Go set it up now. To get some ideas, I started with “wear men hat”, “how to wear a hat men”. Keyword Planner has now returned a list with search terms including the traffic on each term. Here is what I get: A list of search terms that include various types of hats – and will probably only be for people who are looking to buy hats. That is not what I want. 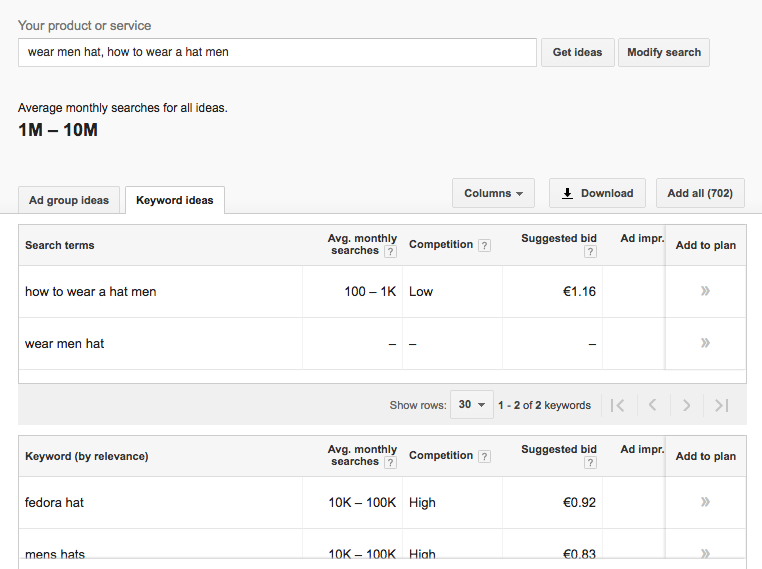 After a bit of back and forth, I arrived at the keyword “hat styles” which according to Keyword Planner has 1000 to 10,000 searches on it, per month. I would usually now go for a few additional keywords – but you get the picture, right? Now it would be time to produce the content. I could now write an article about X Different Hat Styles That Will Make You Look Cool in 2017 (if I were a fashion blogger). Don’t overuse keywords, always keep in mind that people need to actually read your content. When writing new posts, don’t just optimize the post, use Yoast to create a dedicated snippet that encourages searchers to click on your article. Update the article slug to include your keyword. Put alt tags including your keywords on some of your images. Often you will have optimized posts that will not receive as much search traffic as you would expect. So, if after a month of the post being published you are not beginning to see search traffic on your post, it is time to revisit the post. Inside Google Analytics, go to Aquisition -> Search Console. Select Landing Pages to see which posts are getting search impressions. Click on specific posts to see more details about the post. If you are lucky, you will get more data. If your post doesn’t appear in this list at all, it is not being displayed. But if you can get data, and see posts getting hundreds of impressions (being displayed on search result pages) but no clicks, it is time to change something. You can now start entering related keywords into the post or update the meta description through Yoast. See this post for more details on this strategy. Now it is time to talk about linkbuilding. But you cannot dive into linkbuilding before we talk about Whitehat and Blackhat SEO. You might have been asking yourself: If links are so important, can’t I just start buying them? The answer is no. At least not if you want your site to have permanent SEO results. You aren’t the first to have this idea – and since too many people have done this in the past and spammed the web with millions of links to crappy content, Google declared this strategy illegal. It’s called Blackhat SEO – as opposed to Whitehat SEO. When you are using Blackhat SEO, Google will at some point detect you, and prevent all your links from affecting their algorithm – either rendering them worthless, or even removing your site from their index (that doesn’t happen that often). But, you might find a yourself in a situation when you have to remove every “bad link” to your site. So, the advice is to stay clear of linkbuilding strategies that rely on paid links or hidden links. Whitehat isn’t as clearly defined, but when you stay away from shady tactics as highlighted above, you should very much in the clear. Google likes and boosts sites that have been growing over time and organically and sites that have been growing in strange ways penalized. These sites are seen as not having Organic Link Profiles. Linkbuilding involves building a lot of high-quality links. But what are high-quality links? Why is there a difference between high quality and low quality? Above I said Google examines every page for keywords and the quality of the backlinks. This works recursively by doing this for every site on the web. So the quality of each site (and the links on this site) is determined in turn by how many quality links this site receives. So, what you are after are links from sites that already receive high-quality backlinks. In the earlier days of SEO, you could look up the quality of the site by looking up a site’s page rank – however, this Google feature is now defunct. Data, however, suggests that this is still one of the main ranking factors for websites used by Google. This post wouldn’t be complete without a list of very useful strategies you can use to build links to your site. I will only give you strategies that you can actually use to build a massive amount of links without triggering Google to take action. The web is full of links between websites. But often, websites get taken down, articles get removed, … All of this results in broken links. Whenever you discover broken links that you can provide content for, you have an opportunity. You see, it is in the interest of any webmaster to replace broken links with working links. So whenever you discover a broken link, you can write to the site owner and recommend a new page to link to. Luckily, this can be done on scale through the use of tools. 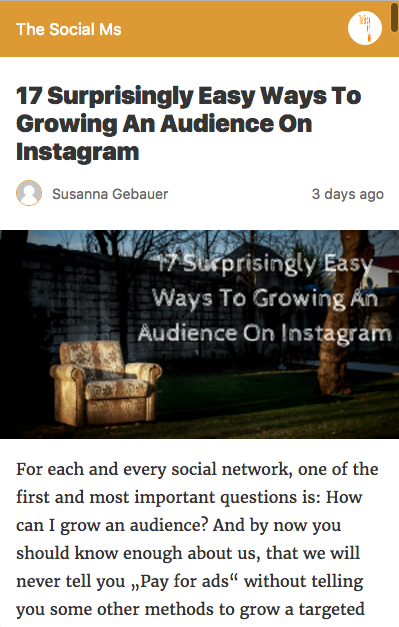 See this article for an in-depth description of how to do this. What would you feel like if someone asked you to do an interview with you? You’d be honored, right? So, if the interview get’s published, would you place a link to it on your site? Did you just get the idea? Great! If you didn’t, here it is in a nutshell: Ask site owners running higher profile sites in your niche for interviews, but make it simple. Write down 5 to 10 questions, ask them to answer via email. Then publish the interview as a post on your site. Let them know their interview is published. Not everyone will link back – but those who do will provide very high-quality links. Link Bait is a linkbuilding strategy based on researching which content will or at least should result in many backlinks, then producing exactly that content AND promoting it. I would love give you a better definition, but it is simply not available. The promotion part however is key to your success with this: You cannot simply produce content and expect high quality sites to find it! You need to contact them and pitch them, or make sure otherwise how to reach them and let them know! If the prophet doesn’t come to the mountain, you need to bring the mountain to the prophet. Guest blogging involves publishing on other peoples blogs – and linking back to your own sites from the post or the author bio. There are many more linkbuilding strategies – more than I have room for in this post. For a comprehensive overview of link building and the strategies in involved, head on over to this post on the Ahrefs blog: Linkbuilding for Dummies. 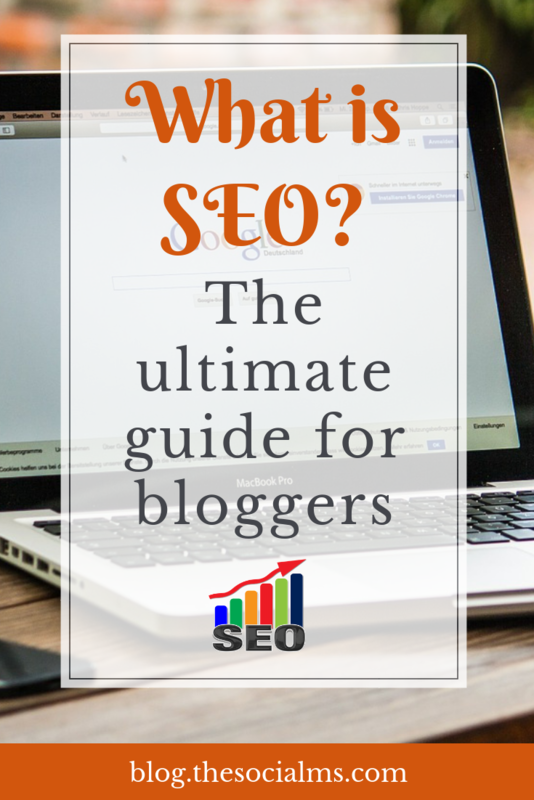 This post should serve as a guide for doing SEO for your own blog – it’s a huge post, with a lot of information. If you didn’t understand everything the first time you read it, go through it step by step, implement one thing at a time and return once you are ready to start something new. 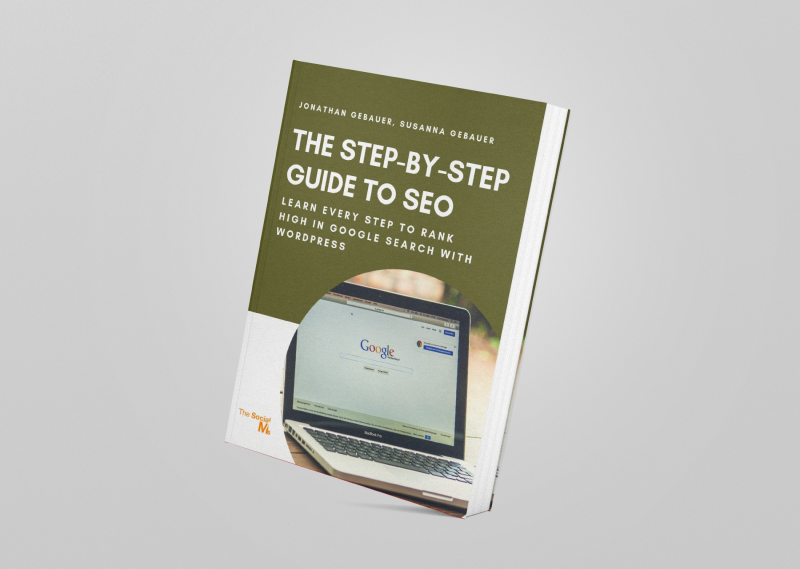 Or check out our “Step-by-Step Guide to SEO.” It will take you through all the vital steps that you have to take to make your content rank high in Google search. And in case you are looking for some easy to do SEO hacks that will help you earn more traffic from Google search, check out this post.